My little 2-year-old certainly likes to accessorize. He has been obsessed with hats for well over a year now and he has been discovering even more accessories in recent weeks. He likes socks, shoes, sunglasses and can turn many things into a hat, even underwear. This picture was taken this weekend on a quick trip to the grocery store. He left his sunglasses on when we went into the store, and when I realized how cute he looked, I decided I just had to have a photo. Don’t you love his model pose? 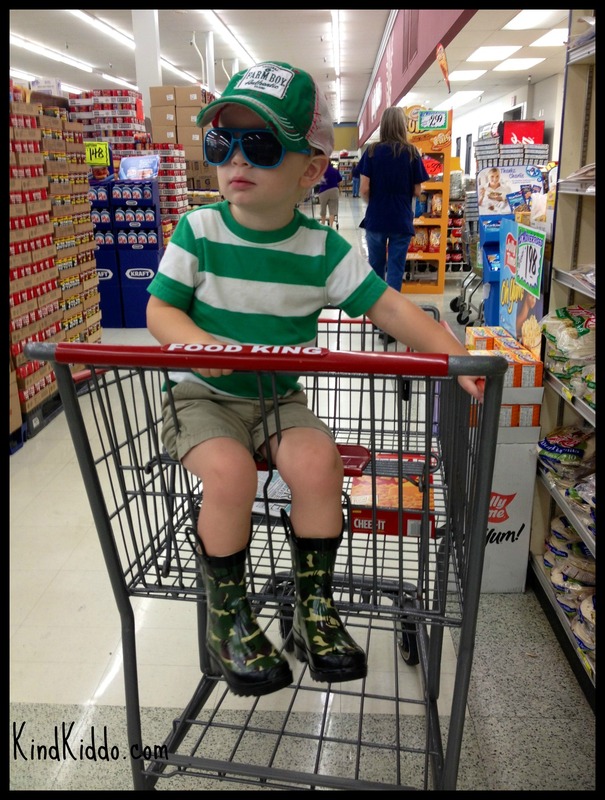 Rowdy is wearing a simple striped t-shirt with khaki shorts, along with his new rubber boots from Academy, his Carter’s sunglasses and his Farm Boy hat. Does your kiddo like to play dress up or accessorize?